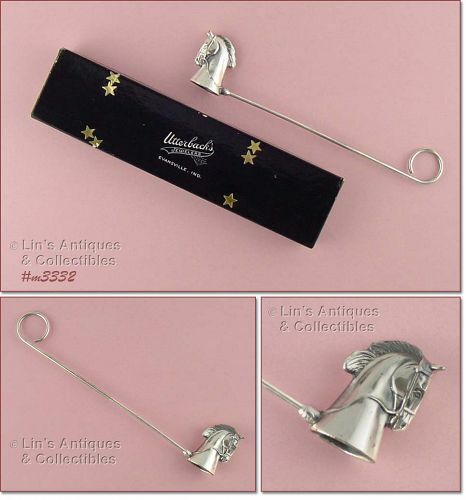 Purchased at an Indiana estate sale, this is a very nice candle snuffer still in the original gift box from Utterback’s Jewelers of Evansville, IND! Snuffer measures 8 ¾” long and is probably silver plate but I could not find any markings. Neat and useful item! Have a favorite bookworm on your Christmas gift list? If so, this item is perfect for that person! It’s a silverplate corner bookmark, still in the original box, and can be engraved by your local jeweler. Nice!